M151 Front Shock Mount Kit. 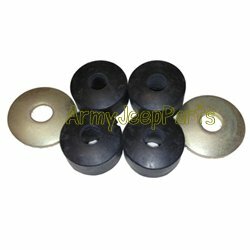 This kit includes 4 bushing and 2 special supporting washers. All parts are NOS, Fits all models of M151's.